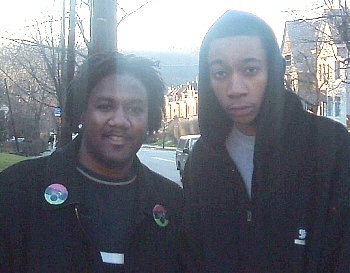 Saturday, March 18, 2006 I sat down with Pittsburgh's Hip Hop Phenomenon Wiz Khalifa of Rostrum Records. He let me know how he got started in the game and what his plans are for the future. 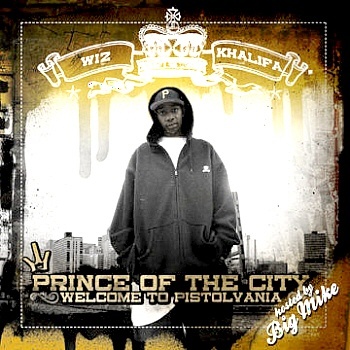 He has a CD out now called "Prince of the City - Welcome to Pistolvania" which is hosted by Big Mike and features twenty tracks of non-stop flavor. Just about everyone knows about or has heard of Wiz, but if this is your first time finding out about the Wiz Kid, check out our exclusive interview BELOW!!! How did you get interested in Hip Hop? Wiz: Basically, I was always raised around music. They used to play music in the house when I was little so I was always into music. Where did get the name Wiz Khalifa? 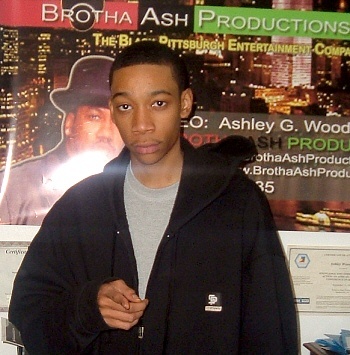 Wiz: When I first started rapping my Uncle's name was 'Knowledge' and we were all in a group. I wanted to make a name that was sort of like his, so I chose Wisdom. My Uncle was Muslim so he gave me the "Khalifa" which means "SUCCESSOR". I was Wisdom Khalifa for a while when I was younger and then I turned about 15 and I dropped the "dom" from Wisdom. How do you feel about having a mother who is a "Hip Hop Head"? Wiz: It feels good because she supports everything that I do. So anything I need she is there. What national or local artist has your respect? Wiz: I think all the locals have my respect because we respect each other. Nationally I respect Jay-Z, Snoop, Biggie, Three-Six Mafia, Camron and others. I like a variety of artist. Locally I like The Govament and others. I listen to your music often and it definitely has a national and professional sound. My favorite track is "Oh No". I don't remember the verse, but's it's something like, "Your hot in your hood, but I'm burning towns down". When I listen to some of the tracks, it's sound a little gangsta, but are you a gangsta? Wiz: No. I wouldn't say I'm a gangsta. I don't really like to use the word "gangsta" because that's associated with a lot bad stuff or negative stuff. I look at it like I'm "streetwise". I know what's going on in the hood. I got people in the hood like my family members and friends and I've also seen what goes down in the hood. I got a real good perspective of what's going on because I see it everyday and I'm around it everyday. You just incorporate it into your music? You kind of answered this but do you consider yourself to be a mainstream, gangsta, or conscious rapper? Wiz: I try not to put myself into any of those brackets because I feel like I just speak to the people and reach the masses. Whatever they put me as I know I'm definitely not a gangsta rapper. Are you in this for the long hall? Wiz: Definitely. This is something that I have to do. Even if I wasn't making the moves that I am making, I would still be rhyming and working hard on my music because it's what I love and have to do. Wiz: Since I was 9 years old, but seriously since I was like 12. There's been a lot of presence of Hip Hop artist on the scene from the 'Burgh as of late. Do you plan to collaborate with any of them? Wiz: I plan to collaborate with anybody from the 'Burgh who has got that professional sound. Wiz: No. There's a lot of haters, but the people that matter are showing love. Everyone is finding out about you through news articles, magazines and on-line presence. You're everywhere now. How are you handling the attention? Wiz: I'm not the type of person to pat myself on the back. I don't get hung on up on it. I express my cockiness through my music. I appreciate this and I go around to talk to my fans. Even though you're a Hip Hop artist who is still in High School, do you plan to further your education? Wiz: Right now, I'm doing well in school. I'm basically focusing on graduating from High School and then pursue my music career. Basically I'm in a position right now where my music career is good. Either I could be a diehard and do what I need to do 100% or apply myself to something else and it might not turn out how I want it to. I could always fall back on college because it's in my mind to maybe pursue later. What do you want everyone to know about "Wiz Khalifa"? Wiz: Good question. I'm trying to make good music for a lot of great people to enjoy and what I'm doing is pure. 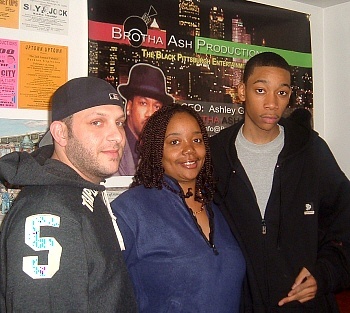 Big Shout outs to Wiz's Manager Chad Glick, Wiz's Hip Hop Mom Peachie, and most definitely to Wiz himself.